If you’re interested in an historical film that details irrefutable and accurate truths, Yorgos Lanthimos’ “The Favourite” is not for you. If you’re interested in a satirical peek at 18th century royalty from the director who brought you “The Lobster” and “The Killing of a Sacred Deer,” then you’ve found a true gem. “The Favourite” is a sumptuous film; with dark, decadent set design that relies smartly on the candles and fireplaces that would have lit Queen Anne’s (Olivia Colman) chambers. We are dropped into a story based loosely on a version of Queen Anne’s story, but one that is made to farcically reflect upon history. This is never more obvious than during an excellently ridiculous dance between Lady Sarah Marlborough (Rachel Weisz) and Masham (Joe Alwyn) during a party. The catalyst for “The Favourite” is the arrival of Emma Stone’s Abigail, a woman whose status and prestige have been taken from her as a result of her father’s gambling problem. She is quick to realize that her ultimate goals can be achieved through a combination of cunning and sensuality. Her realization that she is “capable of much unpleasantness” ensures an entertaining ride for the audience as she and Sarah spar expertly, trading jabs and threats while vying for the attention and affections of the ailing Queen Anne. 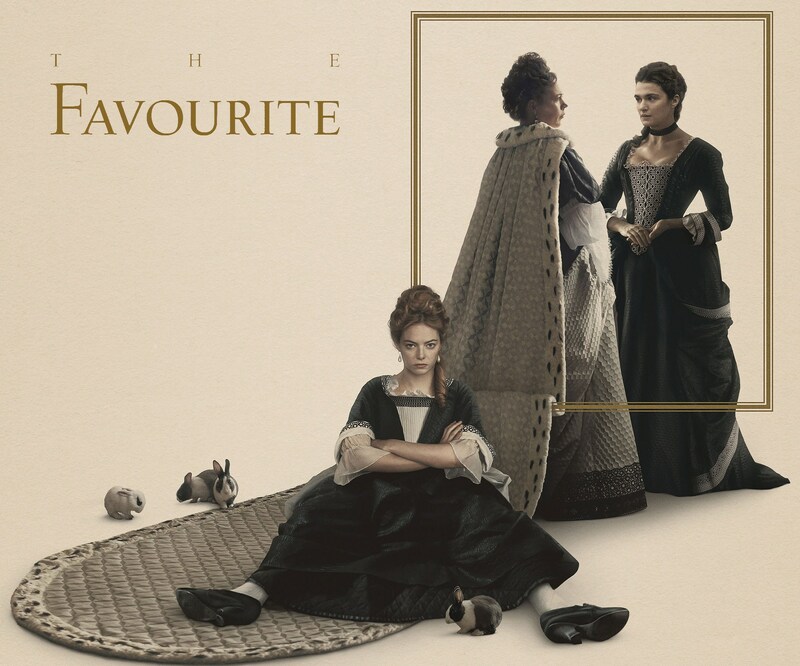 History buffs will know “The Favourite” is taking plenty of artistic liberty with the real story here, but it’s obviously not realism that Lanthimos is striving for. Instead, we are dropped into a complete and irreverent world where rabbits are kept to remember lost children and a footman stands at the ready with an urn when the Queen eats too much cake. Sarah cuts an imposing figure throughout most of the film and Abigail proves herself to be a worthy and cunning adversary. By the film’s end, it’s not entirely clear which of the women we should be rooting for, if either, but it’s obvious that Queen Anne has doubts about the choice she’s made. To top it all off, Nichols Hoult as Tory politician Harley appears to be having entirely too much fun with his eccentric and over-the-top character, much to the audience’s benefit.